Singer/song writer/top line writer needed,to work with producer,who can write for todays/tomorrows commercial market. 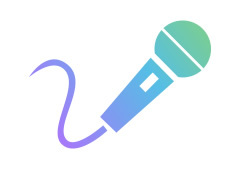 Projects are Multimedia based (Tv,Radio etc) and possible releases on iTunes.The range of Styles/Genres of music,will be Electronic/Dance,Pop,R'n'b,Hip Hop etc (todays most current musical trends). Must have. Good vocal ability , Good attitude/easy to work with and reliable. Please (do not reply to this add,if you do not answer/return a call that is made to you) Only apply if you are serious.